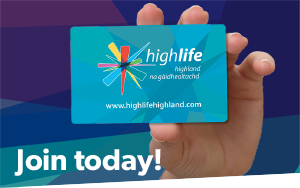 High Life Highland has a business commitment to health and wellbeing and is delighted to be working with National Muesums Liverpool on this project. This project will enhance the lives of those living with dementia and their carers across the Highlands. The My House of Memories app allows users to explore objects from the past and share memories. Created by National Museums Liverpool, it is designed for use by anyone, but is especially helpful for people living with dementia and their carers. The app features pictures of objects from across the decades, brought to life with sound, music and descriptions. It provides easy-to-use resources for helping people explore things that resonate with them, prompting conversations that are interesting, fun and therapeutic. A special set of ‘Highland Memories’ has recently been added to the app. Users can now browse objects from museums from across the Highlands, with a special function to save particular items to a personal memory box. Themes include school, work, leisure and maritime memories. 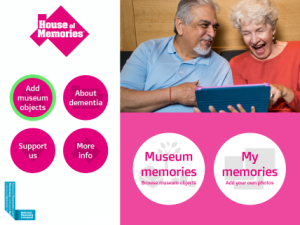 The My House of Memories app also has a brand new ‘My Memories’ feature, enabling users to upload their own photos and share precious personal memories with people in their care. See https://houseofmemories.co.uk/ for further information.